The yachting industry is still adapting to regulations and conventions which apply to private and commercial vessels alike. The merchant shipping sector is ruled by safety regulations developed since the beginning of the 20th century, and is familiar with international conventions such as SOLAS, MARPOL and Load Lines. But the application of common safety requirements to pleasure vessels is something relatively new – a continuous work in progress – and is very much dependant on the service and the flag of the yacht. Definitions do not help. 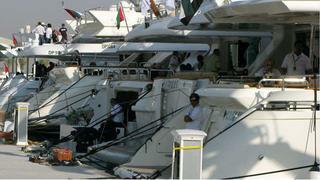 How often have we read of large yachts, superyachts, megayachts, gigayachts or other bombastic adjectives? How many times have we mentioned MCA, RINA, and Lloyd’s, without having a clear idea of who’s doing what? A large yacht is a pleasure vessel with a load line length equal to or over 24m. Almost all the flag administrations have adopted safety codes dedicated to large yachts and this is, therefore, the only definition having a universal meaning in the international regulatory framework of yachts. A motor or sailing vessel in commercial use (i.e. charter) for sport and pleasure, carrying no cargo and not more than 12 passengers. A pleasure vessel solely used for the recreational and leisure purpose of its owner and his guests. The government of the state whose flag the yacht is entitled to fly. This administration sets the safety regulations, manning requirements and fiscal aspects relevant to the yacht registration. Different flag administrations can inspect the safety aspects of yachts with their own inspectors (see MCA for example) or delegate this activity partially or totally to other recognised bodies such as the classification societies. The main flag authorities in the yachting industry are: The UK-MCA, Cayman Islands, Isle of Man, Malta, the Marshall Islands, Italy and Luxembourg. Organisations that establish and apply technical standards in relation to the design, construction and survey of ships. Classification rules are developed to assess the structural strength and integrity of the essential parts of the hull, the reliability and function of the propulsion, steering systems, power generation and all the other features installed on board which contribute to guarantee the main essential services. In addition to this ‘third party check’ function, class societies carry out statutory duties on behalf of the major flag administrations in accordance with specific delegation agreements signed with each government. The main class societies involved in yachting are: American Bureau of Shipping, Bureau Veritas, Det Norske Veritas, Germanischer Lloyd, Lloyd’s Register, and RINA.